One of the unique benefits of membership in the Toptal network is the opportunity to connect with world-class colleagues. Join your fellow Toptalers November 26th starting at 7:00pm at Mozart’s, home of the famous holiday light show. 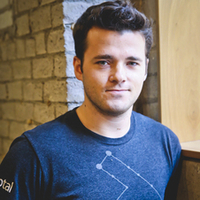 The event will be hosted by Ethan Brooks, Austin local and Toptal’s North America Community Lead. Join us for conversation, connection, and of course Mozart’s famous light show. Feel free to bring a guest, and please RSVP on this page to give us an accurate headcount. For any questions regarding the event, contact Ethan using the form on this page.